Reamplfy was a really enjoyable challenge. 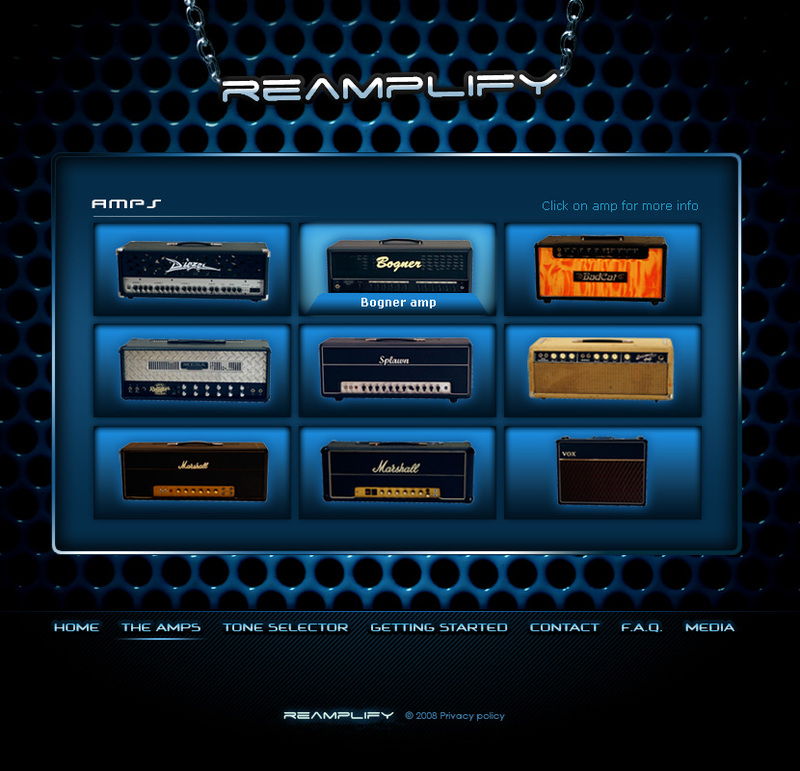 Not only did Reamplify owner Anthony Ammar want us to showcase his amps but he also wanted to create a Tone selector. 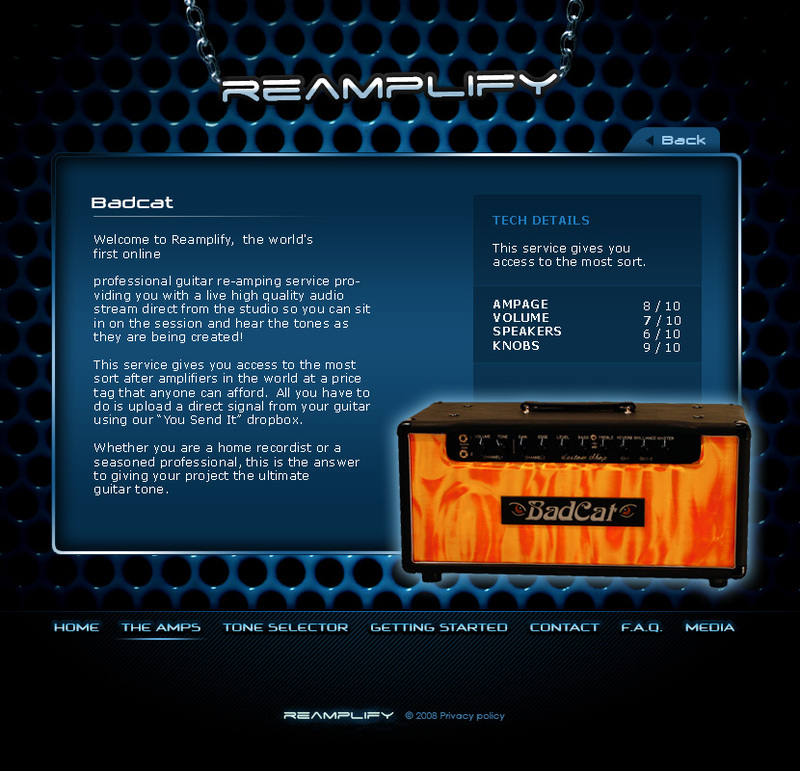 This is where the user could select the style of guitar, an amp and a speaker and hear the exact tone and sound outcome. 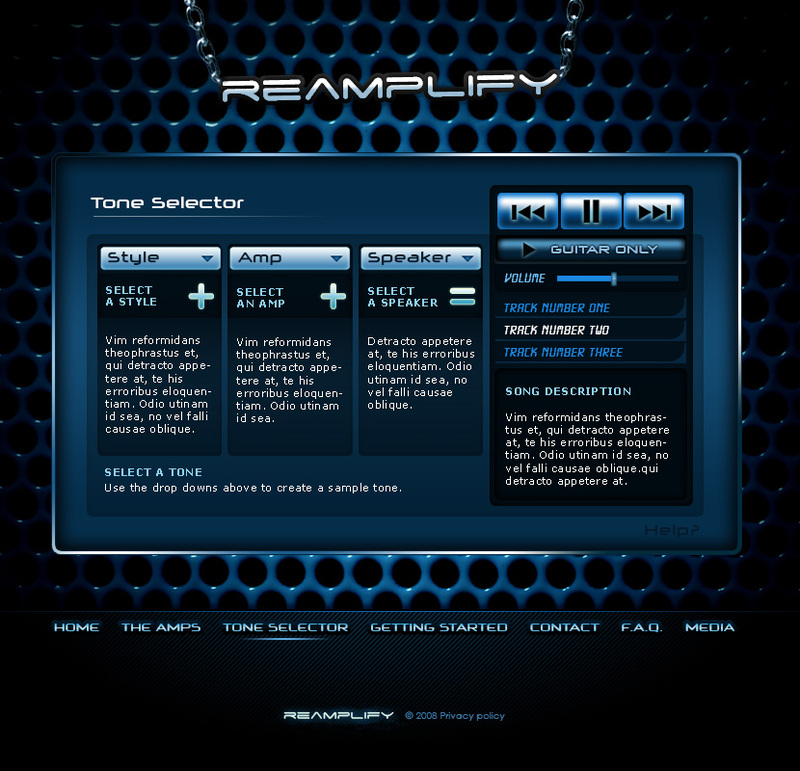 Their monotone blue was consistently used throughout the site.